Alphastate started in 2014 as a personal project for Pete Breaker (Guitars). 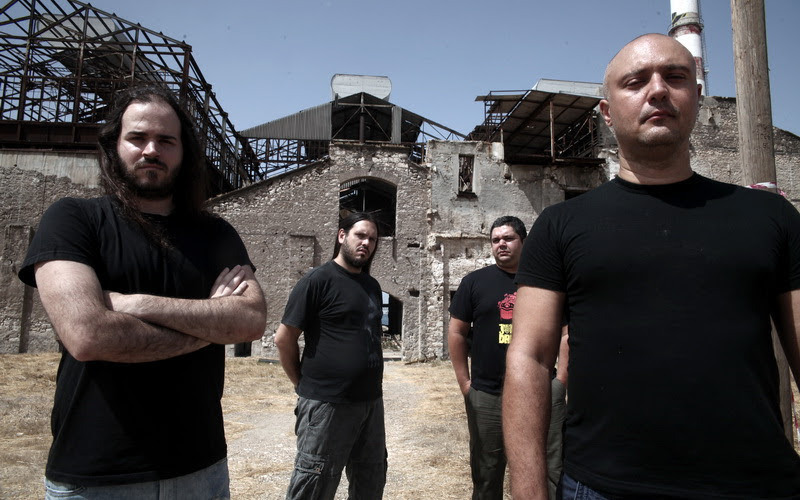 In 2015, the band’s line up was completed with Manos Xanthakis (Vocals), Dimitris Tsounakas (Bass) and Fivos Andriopoulos (Drums). The band wanted to combine modern metal with 80’s and 90’s influences such us Metallica, Ozzy Osbourne, Pantera, Nevermore, etc, to create a very personal and extreme style with no boundaries. Out Of The Black, the groups first album, was released in 2015 and garnered excellent and positive press globally. After playing numerous live shows in Greece from 2015 until now, Alphastate continue to evolve with their second album The Grind, which is ready to be released in 2018 worldwide via Sliptrick Records. Rusty Nails is an Italian heavy metal band formed in Pisa in 2001. The groups sound ranges from thrash to heavy to power metal. Rusty Nails have had many lineup changes in the past 16 years, though founder members Claudio Della Bruna (Rhythm guitar), Federico Viviani (Drums) and Paolo Billi (Lead vocals) have been in the fold since the beginning. The current lineup includes Alessandro Crecchi (Bass) and Matteo Santoni (Lead guitar). The band have gigged and toured extensively throughout Europe with a notable highlight coming in 2016 when the band jetted out to support Testament in the US. In the first months of 2017, Rusty Nails finished recording and producing their first full-length album entitled Seasons Of Hatred to be released on Sliptrick Records in 2018. It’s a modern heavy metal album that revolves around the concepts of hatred, anger, disappointment.